Hi all. Thought I'd drop by and say hello from Carmarthenshire, south west Wales! I've been lurking here for a while, but I wanted to express big thanks to a number of people, and I didn't know a better way to do it. @shdf for finding the DGA4130, @Ansuel for hacking it and @tiffy for leading me down the path of monitoring with a headless Rasp Pi. I've just started uploading stats to MDWS (same username - Westie), although I haven't much clue whether they are good or bad, or even what I should be looking at! All I need now is a decent line speed...Fibre 38Mb scheduled for Jan 26th! Hello and welcome to the Kitz forum, as a contributor, George. A very warm welcome as a now active member of the forum, I'am sure you won't regret signing up, as you have said, it's a fantastic source of information and knowledge, in my opinion, second to none on the web. Many thanks for the mention, most kind, I'am glad my posts on RPi's were useful, all credit to the many members who in turn assisted me in getting my RPi's fully functional running DSLStats to MDWS. 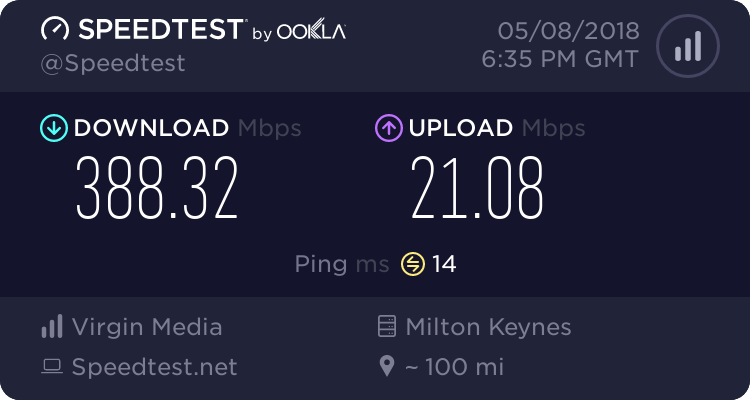 I note on your MDWS stat's you are still on ADSL service, good luck with the VDSL migration on 26th, wonder if you are migrating with your existing provider or moving to a new ISP ? Either way, I'am sure you will have hours of fun monitoring your VDSL stat's on MDWS via DSLStats. Remember to add your modem model number to your MDWS profile, has to be done manually under "options". Ps I'm further west than you are .....Pembrokeshire. Many thanks and a warm welcome, George. Good luck. If it all goes pear shaped we'd like to be the first to know. Hi Westie and welcome to the forums. Vodafones support can be rather dire from what I've read, hopefully you won't need it. As for the modem you'll need to let Tony know that it's compatible with MDWS via the relevant thread in the router monitoring forum, he'll then add it to the list. I might be further west than either of you, but I wouldn't guarantee it as I'm only a mile or two from the east coast of Skye and can see the mainland mountains clearly from my bedroom window. @weaver I make it (using google maps) you are 1.1 degrees further west than I am. I can't work out how many miles that is https://www.thoughtco.com/degree-of-latitude-and-longitude-distance-4070616 but I would think another 50 to 70 miles west.